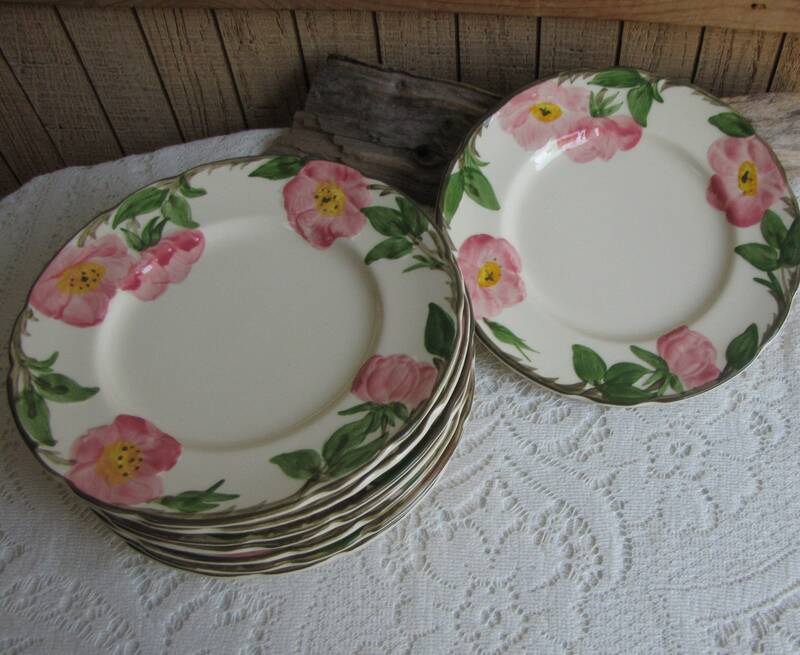 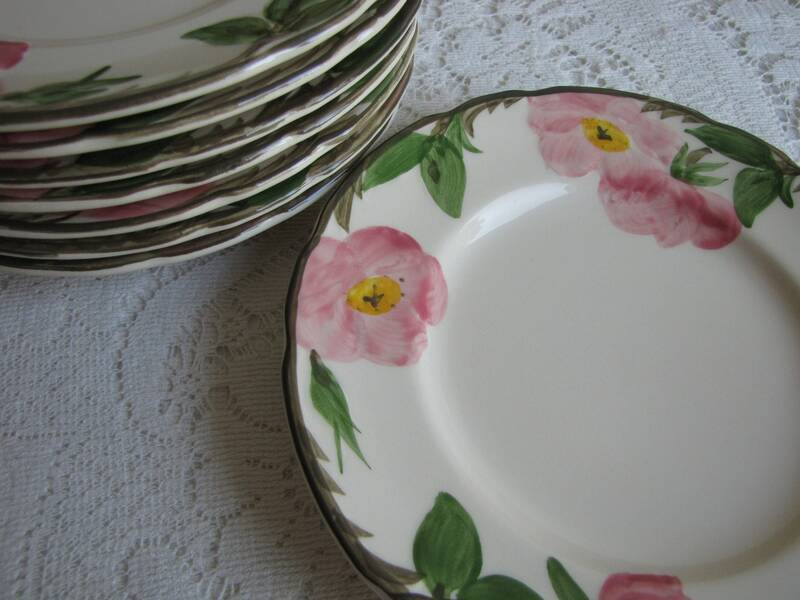 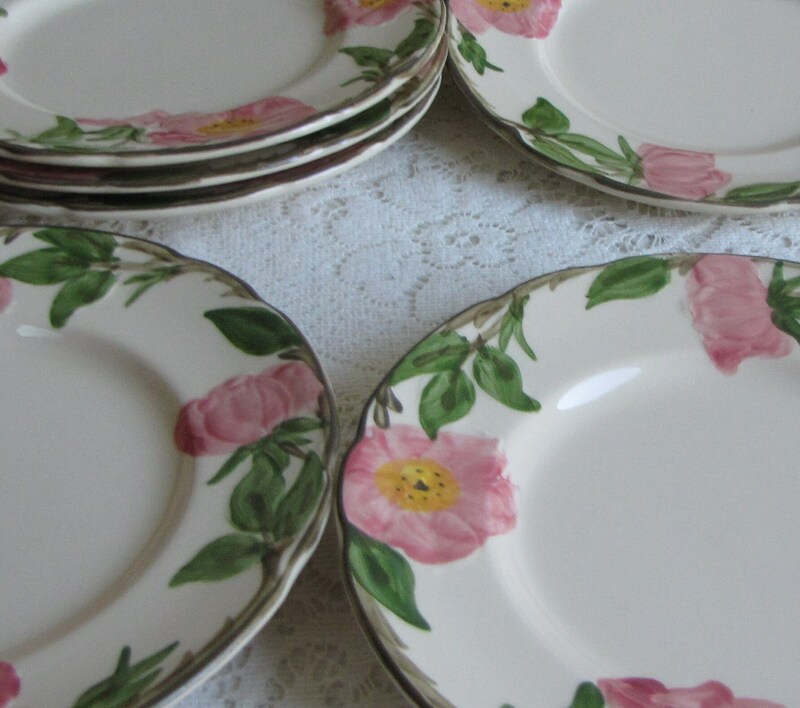 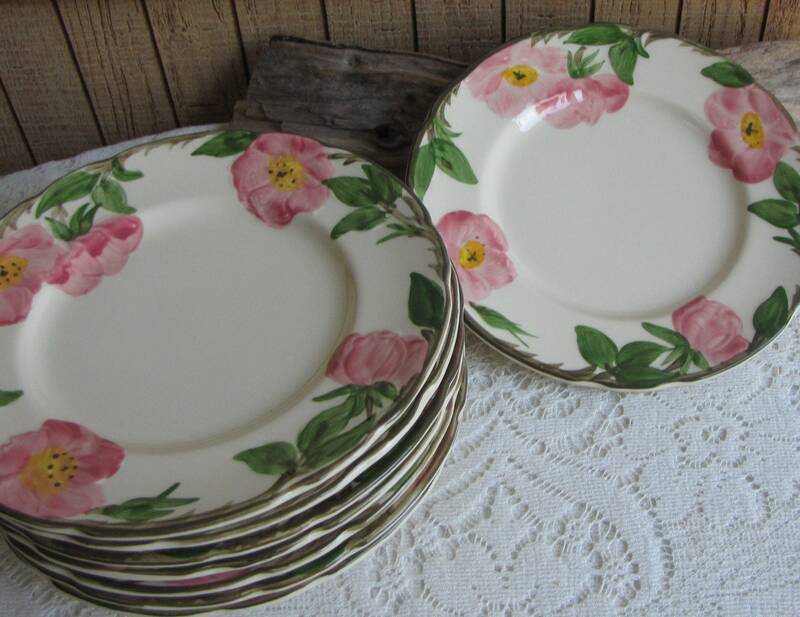 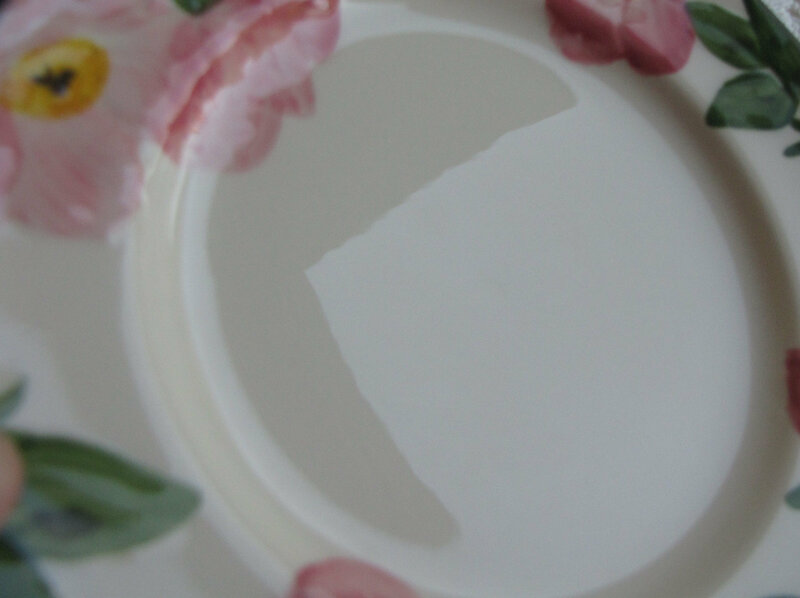 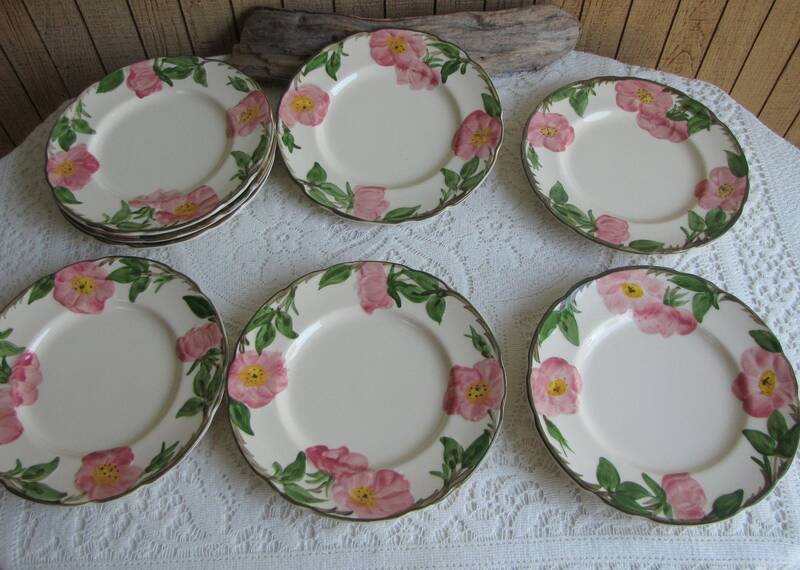 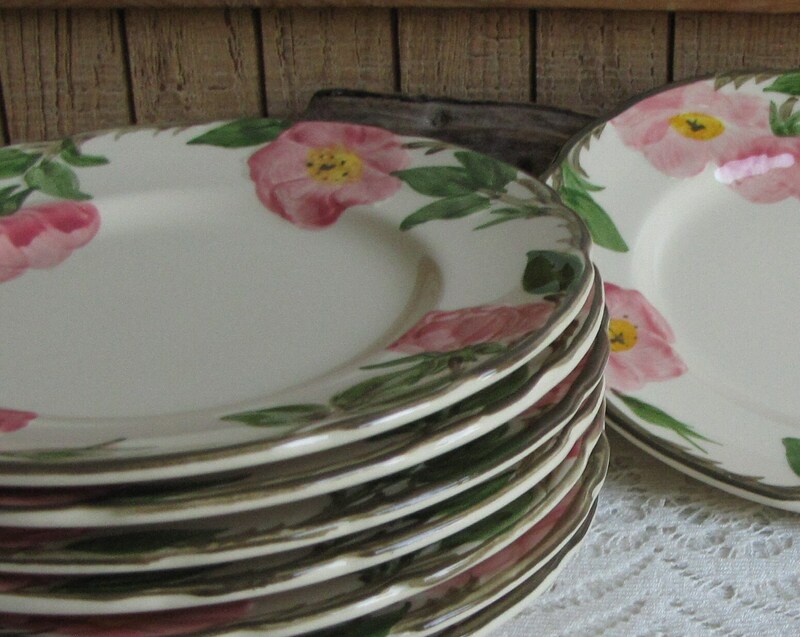 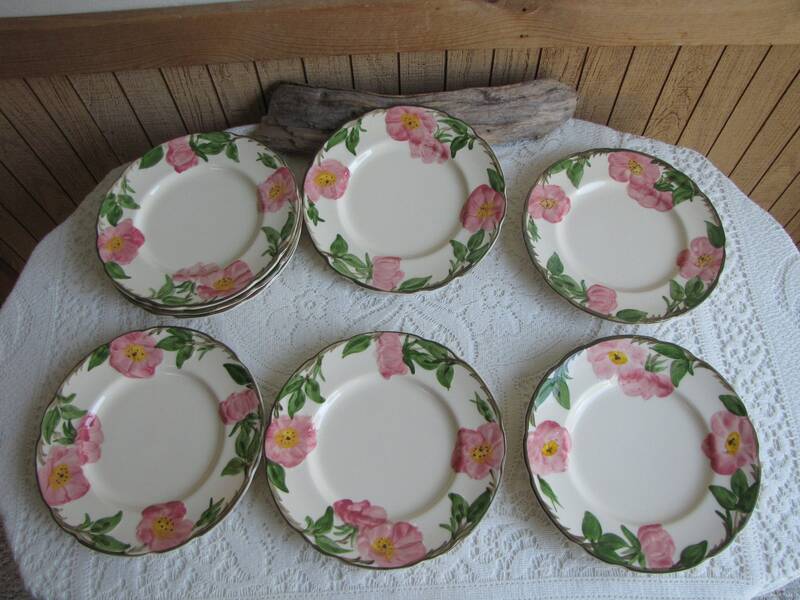 This Franciscan’s Desert Rose salad plates that dates from 1970-1980s. 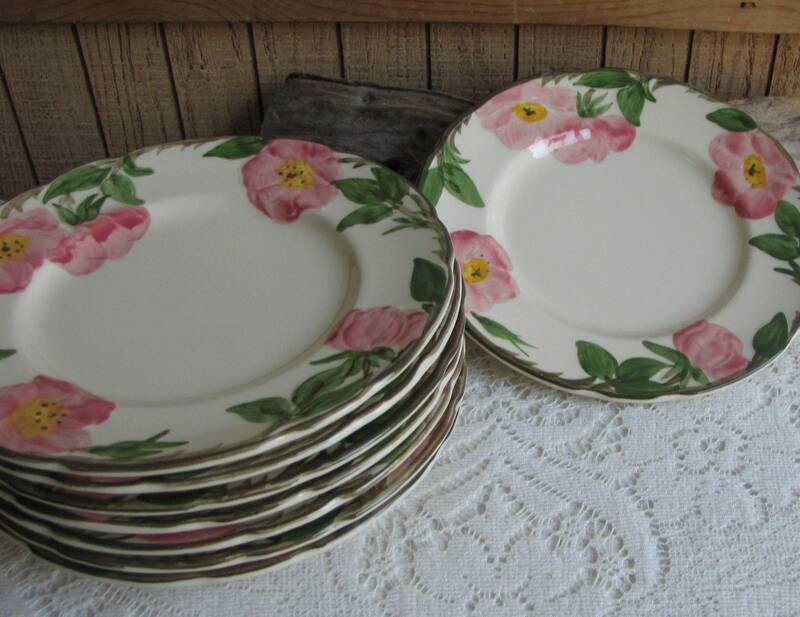 The 8 plates are made in California and are in very good vintage condition with no chips, cracks, or crazing; hardly a mark on them. 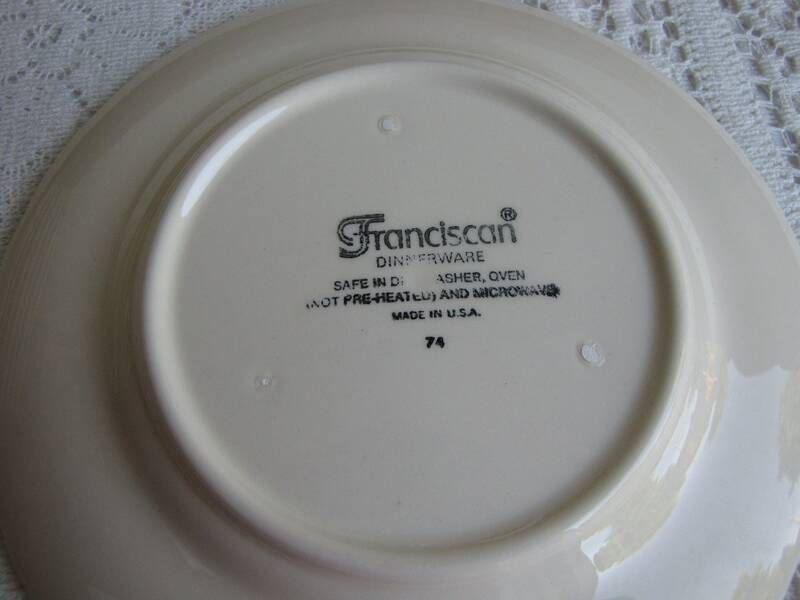 The measure 8 inches in diameter.